When I think about posture, the first thing that comes to mind are the words I’ve heard, and still hear, in childhood and adulthood: “stand up straight and pull your shoulders back.” Or I get an image of the skeletal and muscular anatomy posters in a doctor’s office with a plumb line that goes directly through the center of the head, shoulder, hip, knees, and through arches of the feet. This is what many of us are taught is “good” or “perfect” posture. There is a problem with these pictures and instructions: they do not represent the entire story of what posture truly is, nor do they effectively teach you how to maintain it. Posture is not a concept. Neither is it an “ideal or static position.” Posture IS position. It is the stable position of your body as it moves in gravity right now. Posture is the shape of YOU – moment by moment, movement by movement. 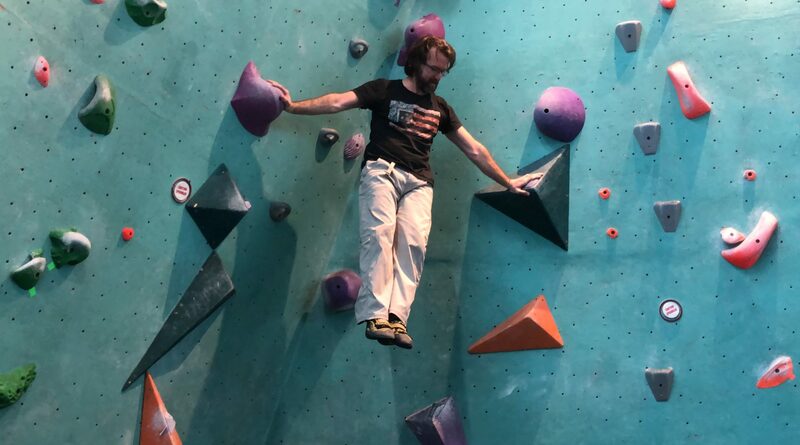 What provides that shape is a highly complex system of bones, muscles, tendons, ligaments, and fascia that provides stability, strength and coordination to the body. Postural muscles [or core muscles] stabilize the joints within the skeletal system through movement, against gravity. In terms of posture, stabilization means to slow down joint movement. In essence, postural muscles are a high-tech braking system. When it comes to movement and injury prevention, stability is king. It is more important – for long term joint and movement health – to be capable of slowing or stopping joint movement than it is to speed it up, and your body inherently knows this. It is from stability that all healthy movement is derived. Movement muscles [called phasic muscles] are the muscles that provide mobility. These muscles are primarily responsible for movement. Your phasic muscles are what make you go. They are the gas pedal. What causes poor posture and pain? When postural muscles are not engaged, such as from sitting for long hours every day, or lack of functional exercise, they go to sleep. If you do not use them, your postural muscles literally lose the ability to stabilize the joints of the body. Since stability is so important to movement, when your postural muscles lose their ability to function, your body MUST do something about it. You have your postural muscles, the brakes. You have your movement muscles, the gas pedal. When the postural muscles shut down, the movement muscles are left with the responsibility of providing stability as well as mobility. This is the equivalent of having your foot on the gas pedal and on the brake at the exact same time.What does this look like? Let’s think again about your lower core. Once the lower core muscles have shut down, the pelvis is left unstable. Remember, stability is king! Your body will recruit stability from somewhere else when needed. In this instance the stability will come from the hip flexors and gluteals – both mobile muscles. The hip flexors and gluteals take over stability control of the pelvis. In doing so, they lose some functional ability as mobile muscles placing greater stress on the hamstrings and low back, leading to significant reductions in the range of motion of the hips and secondarily to the shoulders, knees, and feet. Reduced range of motion causes imbalances throughout the body, which ultimately lead to dysfunction, pain, and injury. For your body it is posture, aka stability, that trumps movement. If your postural muscles have lost their ability to function, your body will automatically trade in movement to achieve stability. There is no movement that does not begin without stability.To improve posture, you must improve your body’s ability to stabilize itself within every range of motion available. This means creating a fundamental shift in how you move and how you train movement. The program I recommend to my clients includes self-myofascial release using a foam roller, deep tissue massage therapy, full body flexibility, corrective exercise, functional strength training, and being barefoot. Great article jjreth. It brought me back to my old massage training and how we assessed postural alignment. You are right stability and posture is key to movement. If you don’t have it, you’re movement will suffer. Great article, very well written so everyone can understand it, not just us health professionals. I consider posture one of 7 main components of optimal health and well-being, and believe many ailments and health conditions could be relieved if an awareness of posture is there. I have a few clients who I know will benefit from this article and look forward to sharing it with them. Thanks for the comment. I would love to hear the rest of your main components of optimal health and well-being? Posture is a big one, and ties into so many other facets of life, physical, emotional, and spiritual. 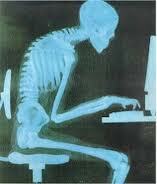 Great article, I am a huge proponant of proper posture myself. I have a personal question regarding barefeet; I have plantar fascitis, and bare feet is torture, although I used to love going barefoot. Do you have any suggestions as to managing that, with or with out barefeet. Thanks for the comments. I suggest reading the article I wrote on plantar fasciitis (below) and following the exercises as a starting point. Hiring a really good fascial therapist who has a successful history treating PF would be a good idea too. I have had great success in treating PF. 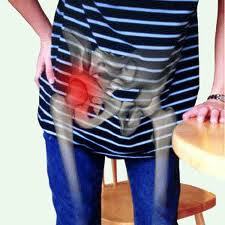 In most cases, moving out of the acute pain stage within 3-4 sessions. Once you are out of the pain stage, it is time to focus on flexibility and corrective exercises to strengthen the arches, knees and hips. You will find a few in this article. Now, my guess is that you have been wearing shoes with a significant heel lift for many years. (I consider the heel lift of most running shoes to be significant). The heel lift in shoes places your achilles tendon in a shortened position. It does not get stretched out fully when you walk. This is compounded by heel strike. Over time the achilles and lower leg muscles in your calf become somewhat permanently shortened. This is the primary issue that causes PF and just about every other foot pain issue. The shortened state places strain through the plantar fascia and other structures which eventually become “inflamed” (for lack of a better term). This is also the reason going barefoot is so painful. When you are barefoot, you are forcing the full natural range of motion of your now shortened ankle which places excess stress on the achilles tendon. Plus the muscles of the lower leg and arches are not strengthened to handle this “new” ROM. So they get fatigued quickly. The key will be to work through the active pain of PF. Then begin a rehab process that focuses on increasing flexibility and strengthening the ankle and calves. When it comes to walking around barefoot: I would keep the amount of time down. Spend 5-10 minutes a day at first and over the course of weeks slowly add more time. It MUST be PAIN FREE. Start buying shoes with less of a heel wedge. Don’t make a drastic move from the higher heels you are currently wearing to a zero drop over night. But eventually you will want a zero drop shoe, if your foot can handle it. This is a process that will take at least a year and possibly two years to fully adapt into. I hope this helps. Let me know if you have any more questions. Also, something you didn’t mention in the above post. Do you wear orthotics? Jesse, I have been reading your articles about barefoot/minimalist training and living, and have a question about orthotics. You asked Bernadette above if she wears orthotics. I do and was wondering how that plays into my transition to barefoot/minimallist living and training? Thank you in advance! Thanks for the question. I’m writing from a plane, so please pardon any major spelling or grammatical mistakes. My view on orthotics is that they are a band aid or a crutch and generally not a permanent solution to postural pain and dysfunction. There are people who need orthotics due to significant structural abnormalities, but they make up a very small percentage of the population. For the vast majority, orthotics are over-prescribed, just as most pharmaceutical medications, and over time create greater problems than they solve. In general, the use of a crutch gets you to the next crutch. At first we use cushioned arch supported shoes as a crutch. As the muscles that make up the arch of the foot weaken and atrophy, the arch itself collapses. So you are upgraded to a reinforced arch support system with orthotics. This causes greater weakening, atrophy, and collapse, and you are then given a cane, crutches, or a walker. Eventually, you are in a wheel chair. All of this takes place over years and decades. The solution to this problem is not in the next best band aid, but to train the body to support itself at each and every step (pun intended). Maintaining strength and stability of the arch provides the foundation for the entire postural system. Now transitioning into a barefoot/minimalist lifestyle from orthotics can be a bit tricky. Especially without the support of a coach or therapist. Depending on how long you have been wearing orthotics, your feet will be significantly weakened. Transitioning too quickly raises your risk of injury. I don’t recommend going completely barefoot/minimalist overnight. I would start with corrective exercises focused on strengthening your feet, hips, shoulders, and core; spending as much time barefoot during the day; and listening to your body for signs of pain and stress. like the article…i would recomend folk trying tai-chi as a means of improving movement and posture as well as learning to breath correctly through the movement process. Thanks for the comment Steve. I agree, Tai-Chi is a great form of movement training. thank you..i willl share…we grow and we make people grow…we learn more when we share our knowlegde..thanks for sharing!! By the way..maybe you have comments about pilates and mioplasia gravis…i just came to meet a person that suffers this illness(not sure if written right). Do you have any info /experience on it? Thanks for the comments. I have never come across that condition. I would be interested in hearing more about it. Great articles Jesse, thanks for sharing.